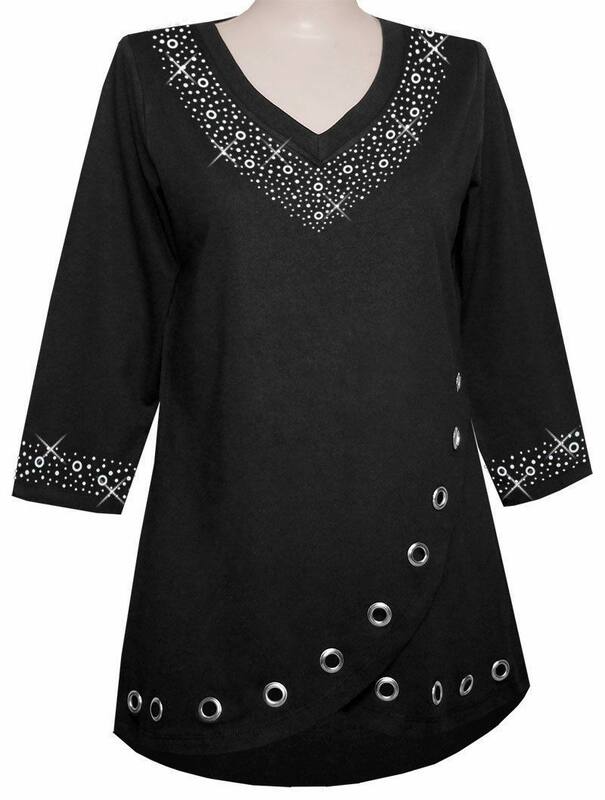 V-neck tunic with 3/4 sleeves is so stunning with silver grommets, silver, nail heads and crystal clear rhinestones that adorn the neckline and the tulip style hemline. The hemline deeps lower in the back so it is great to wear with leggings. The tunic is a stylist top to wear for the holidays and evening wear. The fabric is 57% Cotton, 38% Polyester and 5% Lyrca, machine washable, dry for 5 minutes on low finish on a hanger. You won't be disappointed with this purchase.